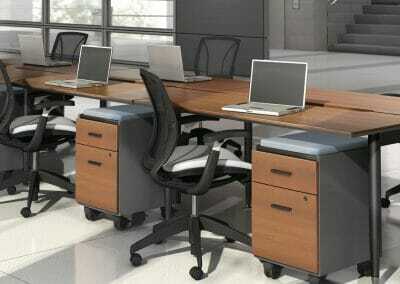 For collaborative computer workstation environments options for your business, turn to Wells & Kimich. 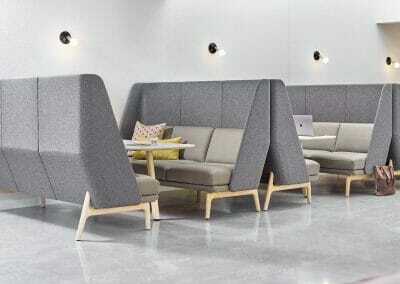 We offer a vast selection of open environment applications and can provide the perfect cubicles that create an attractive and functional workplace while staying firm within your budget. 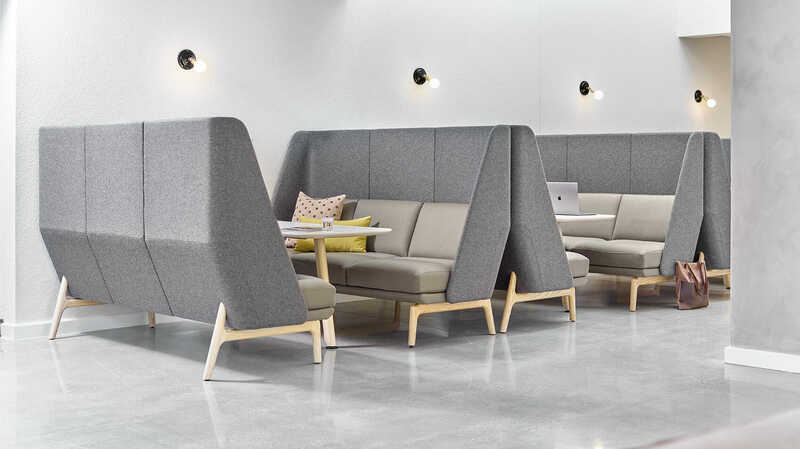 Collaborative environments offer a smart, modular design that offers the capability of panel systems to create efficient configurations for individual and collaborative workspaces. 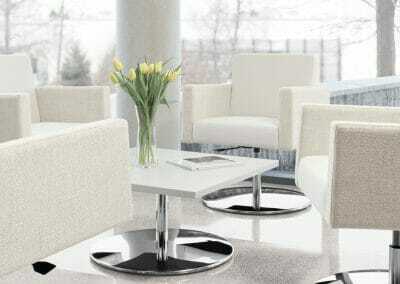 We use a collection of tables, benching, desking and seating elements for customized arrangements that will redefine how you connect and share. Whether you need a handful of cubicles for a minor company expansion or you need to furnish an entire work floor, our expert support service and computer workstation options guarantee that we can assist you with meeting whatever your goal may be. After you contact us and we understand your needs, we will help you design the type of collaborative computer workstation areas that will work best for your employees’ workspace.